If you love a bit of spice in your life, then you’ll most definitely enjoy this dish. Traditionally served for breakfast, chole bhature is a famous recipe from the Punjabi cuisine and is popular in the North of India. Both chole and bhatura are two separate dishes eaten together. 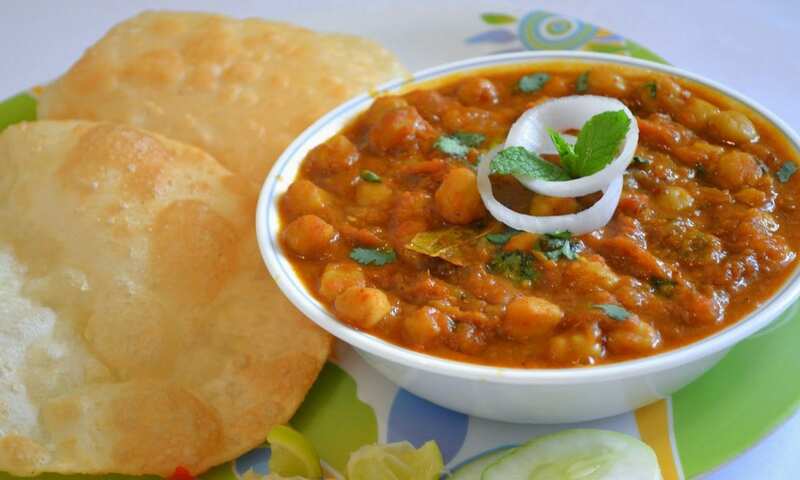 Chole is a spicy curry made from chickpeas and bhatura is fried, fluffy bread. This dish is served with onions, green chutney, carrot pickle and achaar. While momos are native to Nepal and Tibet, these tasty dumplings have become sought-after street food in the Northeast Indian states and various settlements where Tibetan and Nepalese settlements are located. They’re traditionally filled with minced meat such as lamb, chicken or pork and finely chopped vegetables. 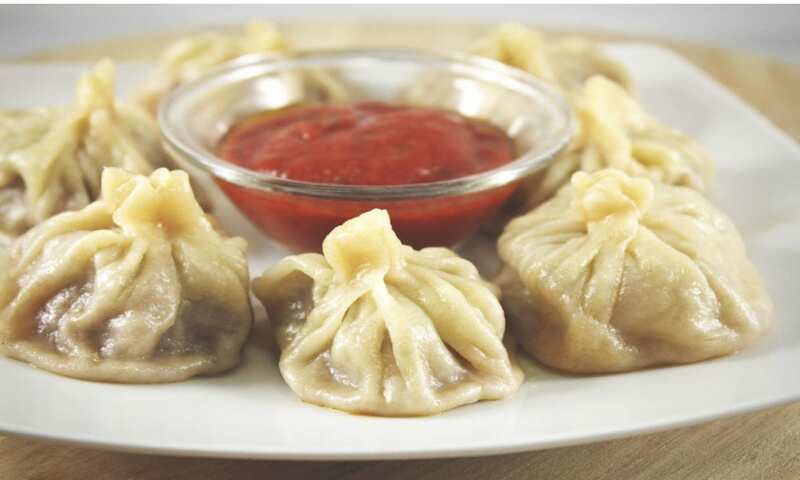 Momos can be steamed or fried and are served with a dipping sauce such as fiery tomato chutney. 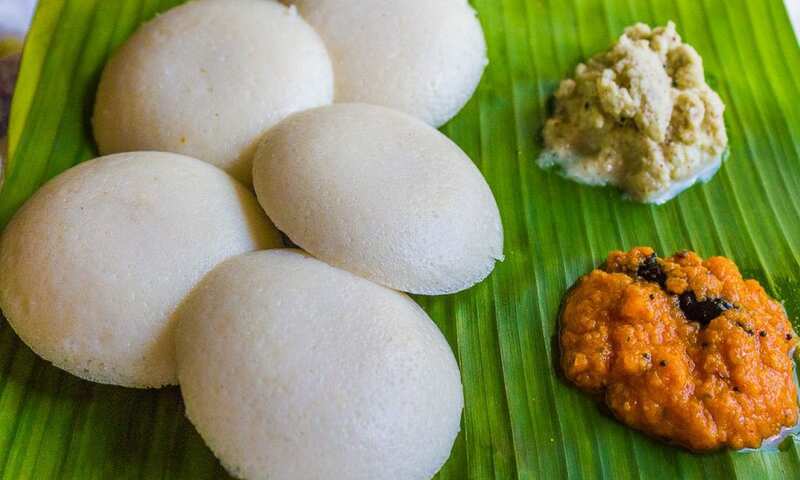 Idli is a traditional and delightful South Indian breakfast. They are little circular savoury cakes which are made of batter consisting of rice and fermented black lentils. The fermentation process enhances the nutrients and are steam cooked to preserve this. These protein packed gems are served with sides of coconut based chutney, onion based chutney and sambar for dipping however, the taste and flavours vary from region to region. Keema is a flavourful traditional meat dish from India which is typically made of minced meat (lamb or goat) curry with potatoes or peas. It is a hearty and comforting dish that is not only used as a main dish, but it is also used in breads or starters. 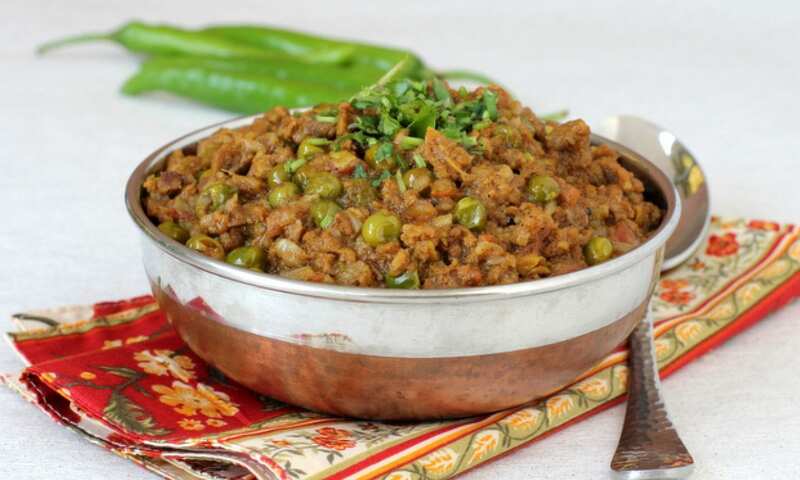 If you’re keen on a satisfying meal that will fill you up to the brim, keema will not disappoint. Kebabs; you’ll find them in many countries however, there are numerous different varieties of kebabs available throughout India. Grilled in street stalls, restaurants and vendors, these tasty skewers of meat are covered in aromatic spices, sauces and marinades which gives them their distinct ‘Indian’ flavour. These kebabs can also be served with cubes or vegetables or cheese and literally give you that exotic melt-in-mouth taste. Biryani is a fragrant rice dish with a variety of spices and vegetables or marinated chicken or mutton. This delicious dish differs from region to region and is one of the most popular dishes in India. It is thought that Mughals were the initial people to introduce biryani in North India while it was the Arabs that exposed biryani to South India. 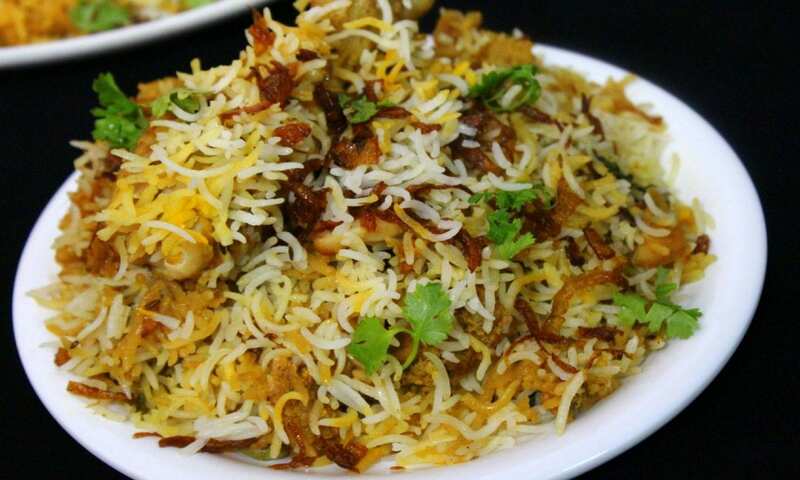 Biryani is a complete and hearty meal to suit all occasions and taste buds. 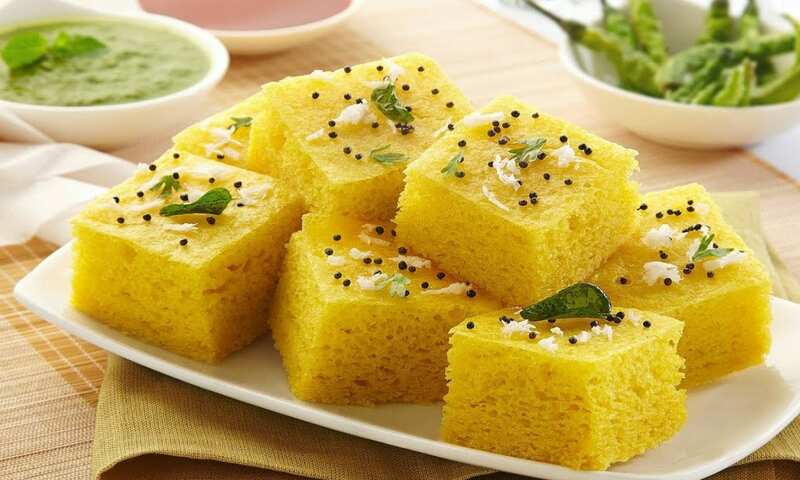 Khaman is a delicious Gujarati snack and is a popular street food in the Gujarat state of India. This delectably salty snack has a texture like cake and is relatively easy to make. It is made from soaked and freshly ground channa flour, which is made from chickpeas and is usually served with fried chillies, chutney and scraped coconut. In some restaurants it is customarily served in a large green leaf. Many of us have seen and eaten rogan josh at our local Indian restaurants however, it’s one of the signature dishes of Kashmiri cuisine. 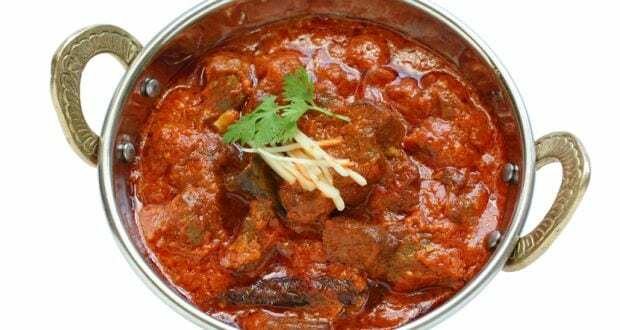 Rogan josh is a staple curry in India’s Kashmir region and is traditionally made with lamb that is cooked with Kashmiri chilli, which gives the curry its exceptional red colour. Generally cooked in a mix of shallots, other Indian spices and yoghurt, this delectable curry is served with rice and Indian bread. The good old samosa! This popular Indian snack which is served as an appetiser is not only widespread throughout India, but all over the world too. 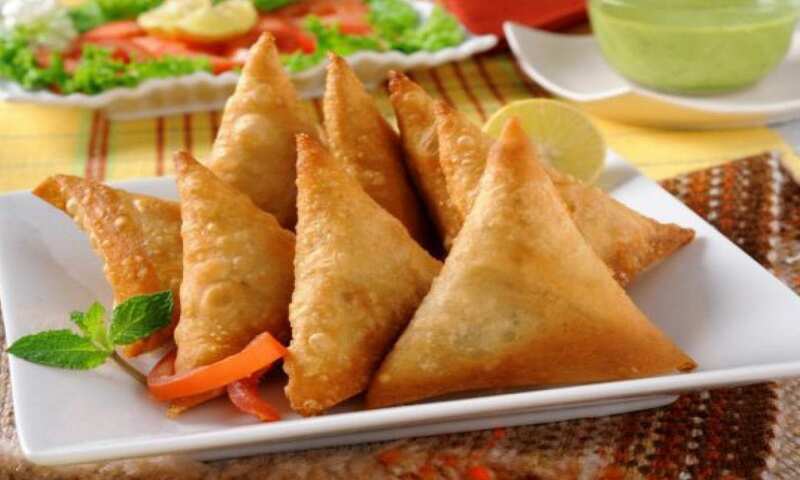 The triangular shaped tasty snack is generally stuffed with potato, green peas and onion however, there are plenty of other versions of samosa as well. It is commonly either baked or fried and is served with a mint or tomato chutney. 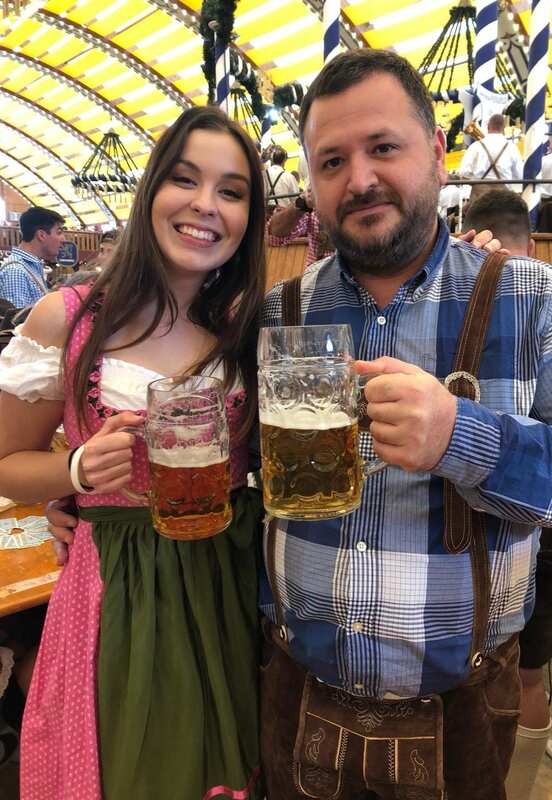 Mmmm delicious! Chaat is essentially a wide term that refers to savoury nibbles that are served at street vendors and stalls throughout India and believe us, there are plenty of mouth-watering snacks to try! 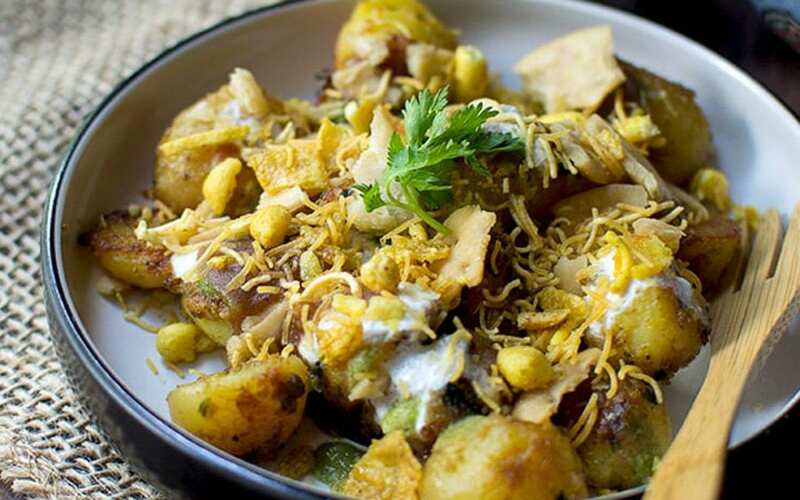 Though chaat is native to Mumbai, you can enjoy chaat in the streets of all states and furthermore, the chaat specialties vary from city to city. While there are many kinds of chaat, all are based on fried dough. The original chaat is a mixture crisp fried bread, potato, chickpeas, tangy spices, chilli and yogurt. 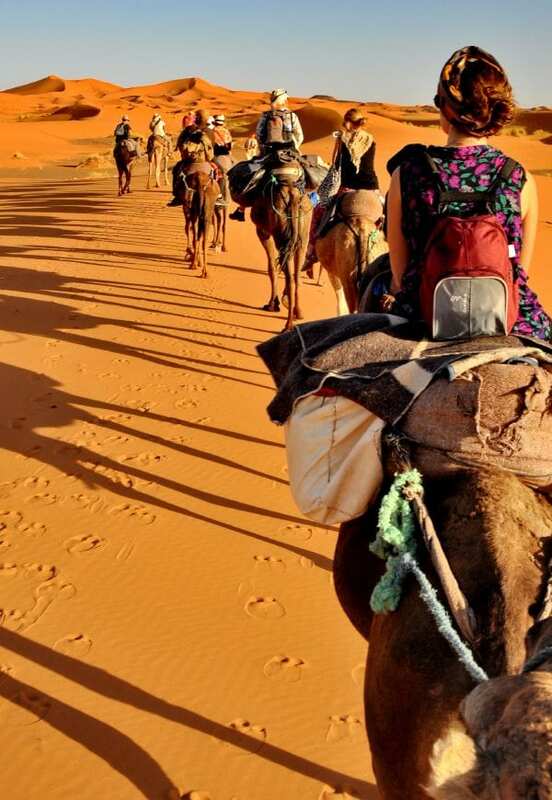 Haven’t been to India yet? 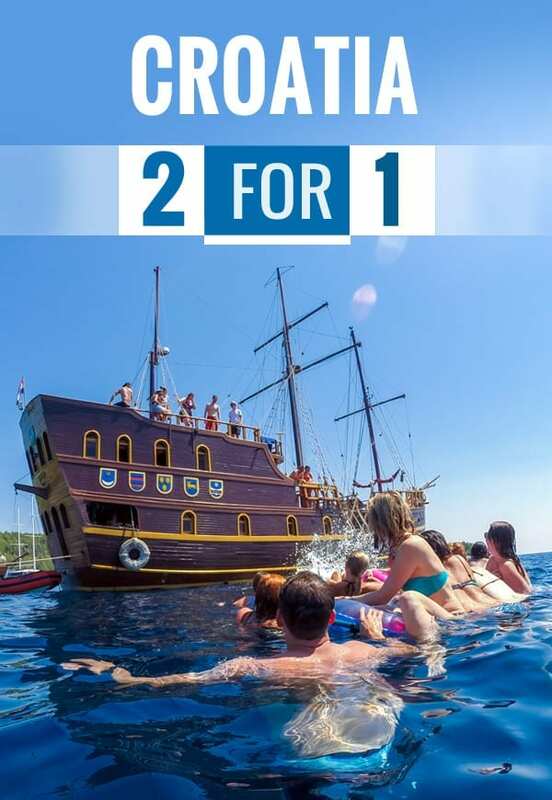 If this hasn’t made your mouth water, we don’t know what will. 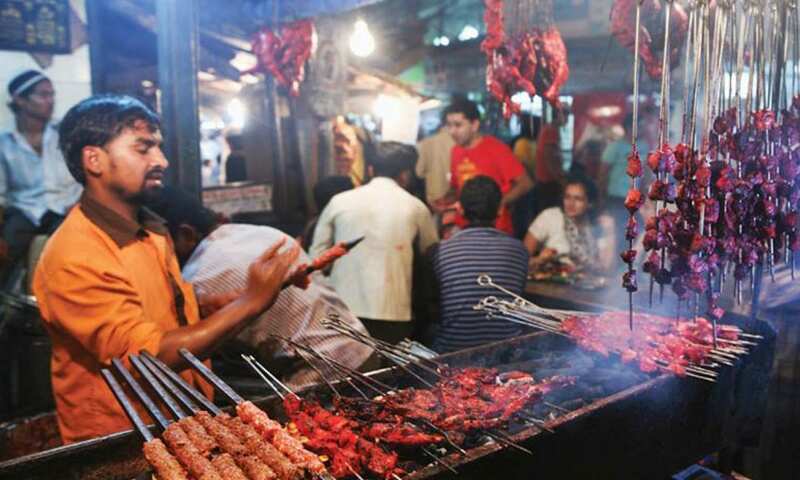 These must-eats in India can be done on Travel Talk’s India tour. 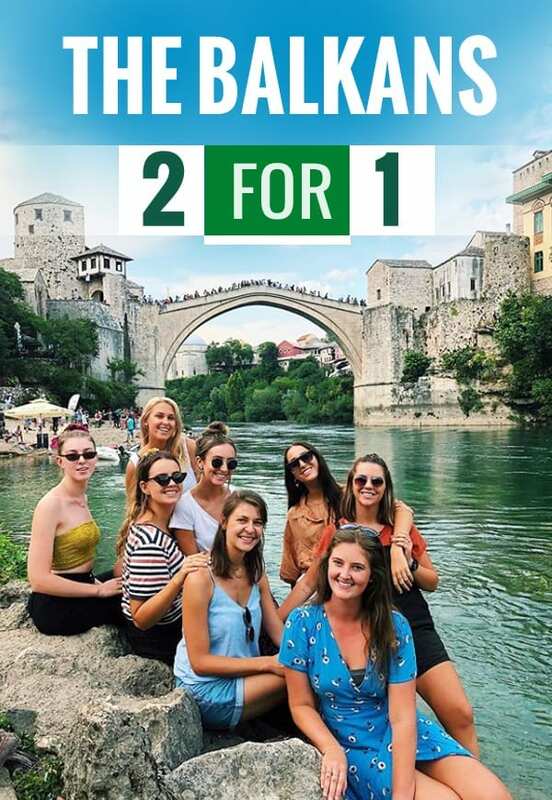 You can find out more about these tours here.